Residents are being asked to share their thoughts on the success of the Whitehaven Townscape Heritage Initiative which has transformed the area of James Street and Market Place, Whitehaven. The scheme focuses on the conservation area from the former YMCA building through to Market Place and has seen a once run-down space transformed into an attractive gateway to the town centre. The project comes to an end in December 2018 and by its completion it will have; transformed 10 properties, facilitated the creation of four new businesses in previously vacant properties, seen the creation of six residential properties, provided a public space where the former toilet block once stood and provided training and learning opportunities for nearly 1,400 people. The initiative has also provided walking tours and creative writing workshops for more than 750 local school children, educating pupils on the rich history of their local town. 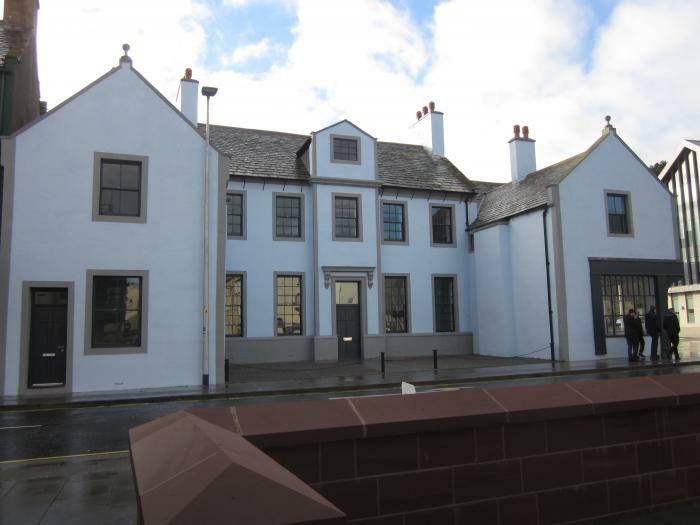 Tours of The Foyer building, summer town trail walking tours and workshops in building maintenance and repairs, energy efficiency, lime works, stonemasonry, lead working and roofing have also been enjoyed by tradespeople and members of the public. The project culminated in a Heritage Skills Fair held on Saturday, September 15. Twelve exhibitors presented a range of important traditional skills including; lime plastering, earth walling, blacksmithing, sash window repair and dry-stone walling. The public were able to join-in and try each craft, ask questions, and learn about the relevance of these traditional crafts today. A Love it or Lose it building repair and maintenance manual and a Conservation Area Design Guide set to protect the borough’s rich architectural history have also been produced. Funding for the project is from Heritage Lottery Fund, BEC, Copeland Borough Council and Cumbria County Council. The survey closes on Friday, October 26, to take part go to www.copeland.gov.uk.